Following several months of nautical training under the ship’s crew, the students are given responsibility over the ship. This is not only during time on the open sea, but also when entering a port. These responsibilities include determining the course of the ship and dealing with port authorities. All tasks that would normally be carried out by the ship’s crew, will become the student’s responsibility. Each student can apply in advance for his or her desired position on the ship and the final decisions will be made by the crew. Positions such as ships captain, captain of the guard, or machinist can be chosen and filled by students. The crew will always be available to assist and guide the students with their tasks on board. This assignment of responsibility will allow students to utilize the skills learned during their courses and career orientation work. The nautical training takes place mainly during watch. Students will learn about course determination, cartography, steering and sailing, how to keep watch and machine and safety rounds. Here, theoretical content from the classroom can be combined with its practical application. 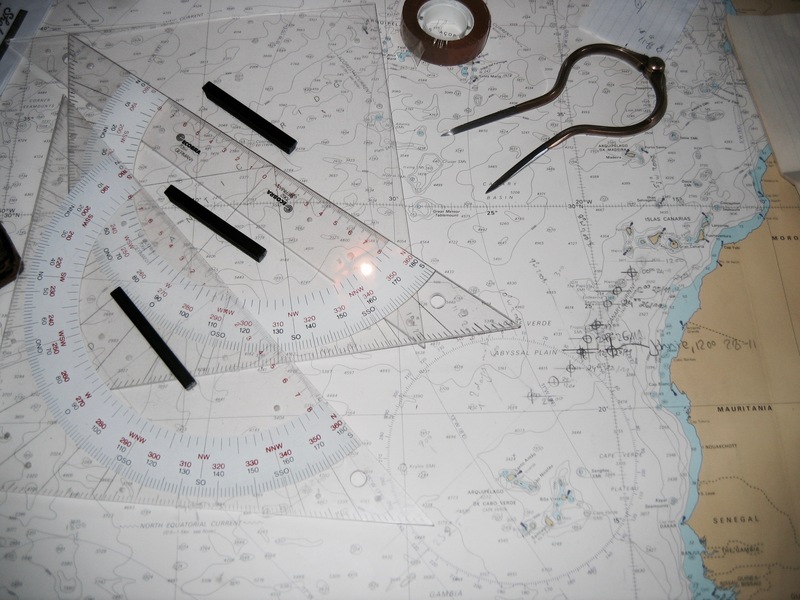 Students will use mathematics to determine the ship’s course, using both GPS and the sextant/state of the sun and stars. Cartography is a central part of nautical education. Here, too, content from geography and history can be applied. Navigating, steering and sailing the ship are essential skills and they require constant attention. To this point, the guards change every four hours. Under expert guidance, the sails are adjusted and the course is held at the wheel. When adjusting the sails, they must be raised by hand and set and adapted to the respective wind and course conditions. The environment must always be kept in clear view, especially in busy areas of navigation. Regular safety rounds ensure that everything on board remains in place and that no problems arise. The osmosis system for our drinking water treatment, as well as the water supply must be regularly checked. The engine on board the Pelican must be serviced regularly, so that it can be used during port maneuvers and or if there is no wind. Here, students will have the opportunity to get to know how the engine, pumps, electrics and other parts of the ship function. Our Gap year participants have the opportunity to spend a lot of their time with our crew to learn about the parts of maintaining and sailing the ship that they are most interested in. It is also possible to do this in a rather serious manner in order to become a crew member for the Pelican in the long run. For further information, please contact us!